Warburg-HIH Invest Real Estate (Warburg-HIH Invest) is an independent pan-European investment manager for real estate with currently 8.8 billion euros worth of assets under management. Over the past 15 years, the company has positioned itself as specialist for pan-European real estate investments. 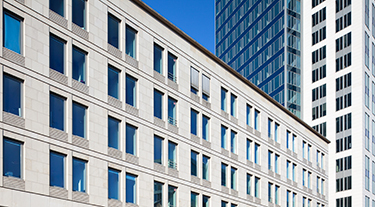 Around 150 institutional clients have entrusted their capital to Warburg-HIH Invest — for the acquisition of real estate and its addition to the requested fund solution. As a renowned pan-European investment house, we provide any service relevant to real estate investment and management. 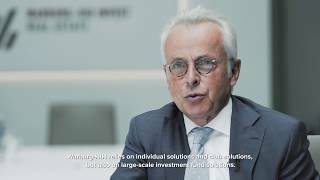 Warburg-HIH Invest is part of the HIH Group, one of the largest internationally active managers of real estate and real estate investment solutions in Germany. Professional real estate research serves as foundation of our investment philosophy. For more than 15 years, investors have put their faith in our real estate know-how and our investment fund solutions as well as our structuring know-how. We maintain a strong network in Europe, with real estate experts on site in all major real estate core markets. We never lose sight of the regulatory requirements and take pride in best-of-class administration and reporting.